There are literally so many purposes for verification of a vehicle’s plate number. First off, you have to realize that it is not so easy before when you want to know to whom a vehicle is registered or if that vehicle has a bad record in the LTO in terms of driver apprehension or if it is alarmed in the Land Transportation Office as a hot car or carnapped vehicle. Here is a short guide for all who want to get the details of a vehicle in as fast as 1 minute. 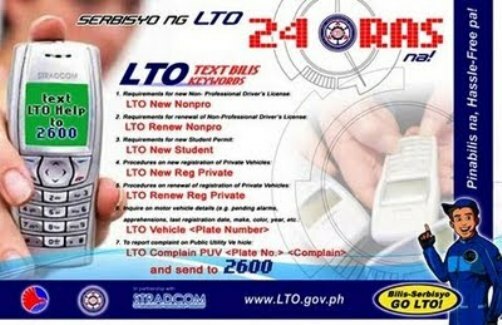 Yes, believe me you can now do it at that lightning fast pace because the LTO already had a system wherein all you have to do is to send a txt message (via SMS) to verify any vehicle’s plate number and know if it is a hot car (carnapped) or if it has a bad record in LTO. See the guide picture below. LTO<space>VEHICLE<space>[plate number of your vehicle] and send to 2600. All you have to do after this process is to wait for about 5-10 seconds until the auto-generated reply arrives in your inbox. Car Plate – Model – Year of Manufacturing – Color – Date Last Registered in LTO – LTO Apprehension/ records and LTO Alarm (if any, referring to if your vehicle has been reported stolen or carnapped by the owner). Please note that this can now be used by the proper authorities to get to crooks especially those carnappers who get caught in a checkpoint so beware all you scumbags! Special Note: On per text message cost, a sent message with confirmation will cost the texter a Php 2.50. This text and SMS verification system by the LTO has been tested personally by me and the good news is that it definitely works for Smart, Globe and Sun Cellular users. I’m not so sure if it does the same for Touch Mobile, Red Mobile and the rest of the telco providers. For an idea on the part of the vehicle owner, to avoid staying too long for the questioning of police officers in a checkpoing or a military authority, all you have to do is to show them the message and if your vehicle is totally clear of any records that could cause you to be apprehended, then you will not have to stay too long for questioning. Another great tip where you can use this system is for verification of the registration of a second-hand car or used automobile you want to buy. This way, you can get assurance that it is clean before you get to pay for it or it’s too late. Remember that buying a hot car can cause you the same case as a carnapper. To Remember: This registration verification via SMS is effective only for private cars> I am not sure to this date if LTO is planning to include all vehicles sooner or if it already included in the system / database of inquiry such as (motorcycles, taxis, tricycles, trucks, etc.). You can use this system, however to verify if it does work for other vehicles by using the system. I don’t have a jeep, tricycle, truck or a motorcycle to test it with so please bear with me. On the other hand, there are other related uses listed below taken from the official website of the LTO Philippines. Tinuruan na nga kayo kung paano gusto niyo sila pa din gagawa. Jusko naman. Mam/Sir good morning i ask what is the insert plate for 200 pesos ill give it plus 1500 advance and 500 additional total of 2200.As part of requirements for renew as REPO? 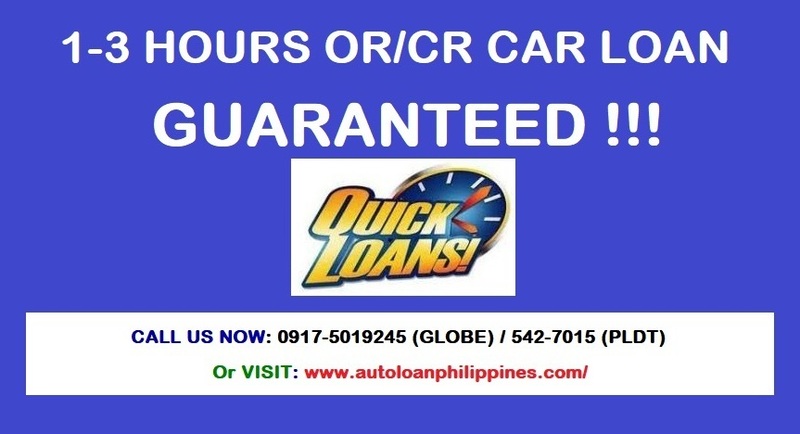 ill give it to liasol in Motortrade personel Mr.Edgardo in lower bicutan Motortrade taguig branch tel. 838 97 38.As of now motorcycle did not renew what will be penalized to file the case against him in Motortrade inc.
Pa verify ko lng po itong Smash 110. Color Red. Plate No. 9928 OH Bibilhin ko lng po sana. Titignan ko lng po kung may bad record sya. Thanks. How do I verify if the car Im buying is not a hot car? Good afternoon po, Hihingin lang po sana namin ang pangalan kung kanino nakaregister ang plate no.WKO125 may reklamo po kasi sa amin at naidentify ang sasakyan nya.